For inexperienced social workers, the first home visits could result in important decisions tainted with bias. But practice makes perfect, and students and faculty at the University of Utah’s Therapeutic Games and Apps Lab (The GApp Lab) are developing a virtual reality simulation for social work students that recreates a home environment so they can better prepare to check for potential hazards. This unique software is one of 44 student-produced video games and apps that will be on display Friday, Dec. 8, during EAE Play, an annual event hosted by the U’s Entertainment Arts & Engineering video game development program in which the public can playtest games under production. EAE Play will be held from 3 to 6 p.m. at the EAE Master Games Studio, Building 72, 332 S. 1400 East, second floor, formerly the home of the law library. The event is free and open to the public. Free parking for news media will be available in the lot just east of the building, which can be entered from 400 South just east of University Street. 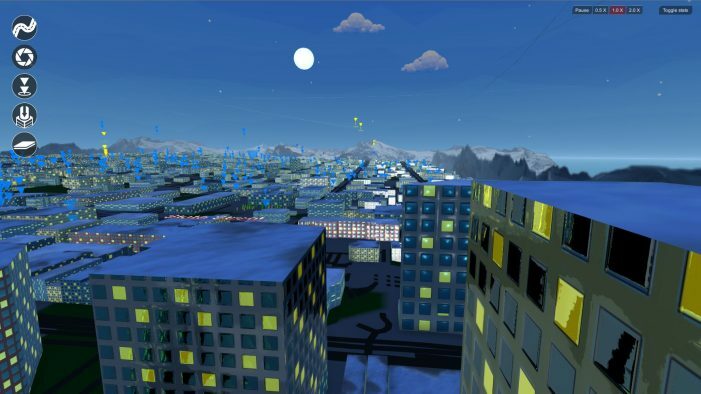 A screenshot of the virtual reality app, “Virtual Home Sim,” being developed by students and faculty from the University of Utah’s Therapeutic Games and Apps Labb. This app, which works with smartphones, allows social work students to simulate a home visit. “Virtual Home Sim” is being developed for virtual reality headsets such as the Oculus Rift and for Android smartphones. After putting on the headset, the player steps into a virtual home that has been staged to look like one of many typical homes social workers visit. 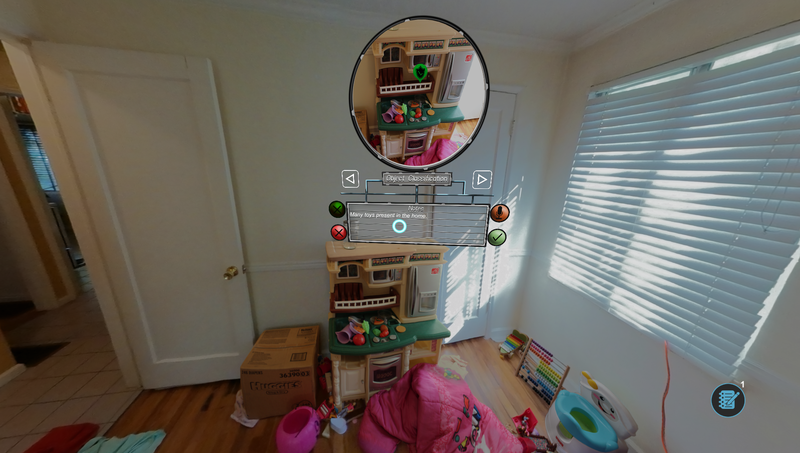 These workers then can take virtual pictures of potential hazards as well as safety features in the home. “Virtual Home Sim” is one of five games from The GApp Lab that will be on display at EAE Play. The lab is supported by EAE, the Center for Medical Innovation and the Spencer S. Eccles Health Sciences Library. Also showing will be four graduate thesis games and 10 undergraduate titles from EAE’s largest undergraduate capstone class ever with 163 students. Additionally, there will be 19 graduate student prototypes available for playtesting. A screenshot of the multiplayer game, “ORE.” The game is being developed by students from the University of Utah’s Entertainment Arts & Engineering video game development program. EAE Play will also show off a new AAA-quality game produced by the program’s largest student team ever. 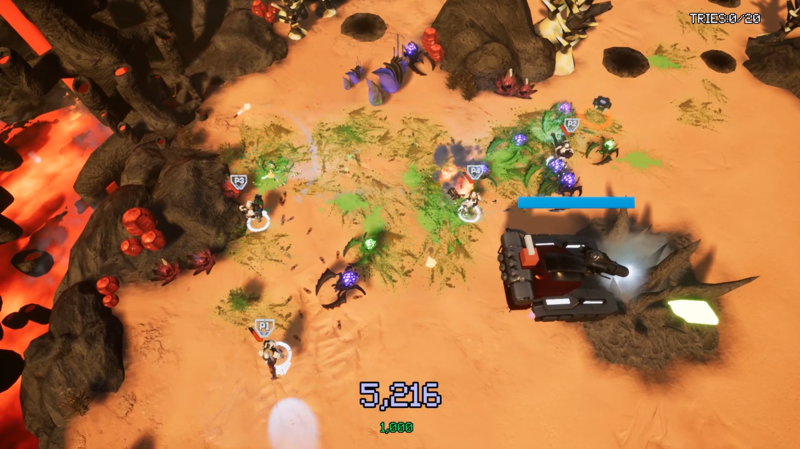 “ORE,” a top-down action game for the PC where players work on a hostile planet in order to destroy a massive beast, has professional-quality graphics with lush 3-D environments and alien creatures. “ORE” has been in production since January 2017 and is made by a team of 20 graduate students, including a University of Utah music student who is composing the game’s original score. “If players think it’s hard to beat the beast with four players, they ought to try making a game with 20 students!” joked “ORE’s” student producer, Jeff Nay. “A Walk in the Woods” — An adventure game where up to four players must roam a dark and dangerous forest. “Imperium” — The player’s character must use emotional manipulation as her only weapon while searching for her lost brother. “Glitchball” — A competitive soccer-based party game, except where the ball kills the player and the setting is in a 90s-styled shopping mall. “Slimy” — A 3-D puzzle game in which the player is slathered in chemicals for new abilities. 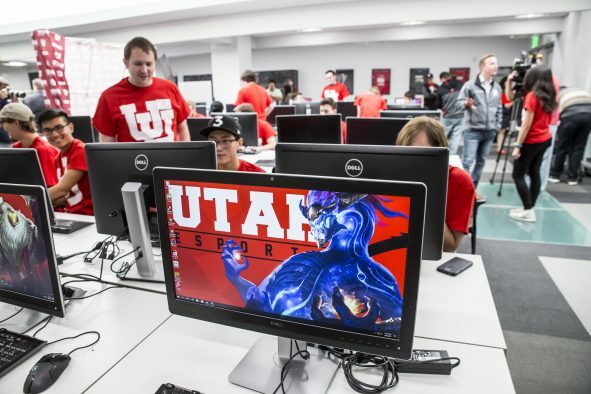 Entertainment Arts and Engineering, under the U’s College of Engineering, launched in 2007 and has quickly become one of the most highly regarded video game development programs in the nation. EAE has been ranked the No. 1 video game program in the nation for three of the last five years by the Princeton Review. To see a list of the game demos on display during EAE Play and screenshots for each, click here.